﻿ News Bharati - Bank service charges on Farmer's loan, now to be waived off..! News Bharati - Bank service charges on Farmer's loan, now to be waived off..! Bank service charges on Farmer's loan, now to be waived off..! Mumbai, February 5: Farmers feel more relieved now..! In yet another move to provide direct benefit to the community and ease the pressure on them, the Indian Banking Association today issued advisory guidelines requesting banks to waive off the processing, documentation, inspection, ledger folio charges and all other service charges for Kisan Credit Card or crop loans upto Rs 3 Lakh. Providing timely and affordable credit to this resource constrained group is the key to attaining inclusive growth. The small and Marginal farmers are the most affected during times of floods, droughts, and other natural calamities. As per parliamentary standing committee on agriculture, the losses due to climate change account for overall GDP loss of 1.5% of agriculture economy. The instability in income of the farmers due to various types of risks involved in production, low bargaining power, add more distress to the already affected farmers. It is during the analysis that it was learnt about some of scheduled commercial banks, collecting a nominal amount of service charges towards processing, documentation, inspection, for agriculture loans. However, some of the banks tend collecting service charges which are at a bit higher. “This is not irrespective of whether the loan is sanctioned or not. This often acts as a deterrent for the farmers to approach the banks for loans”, stated the report. In India, land holding pattern is dominated by Small and Marginal farmers (SMF) category constituting around 85 per cent of the total operational holding. The total number of SMFs count to 21.6 crore or 4.3 crore families in all. 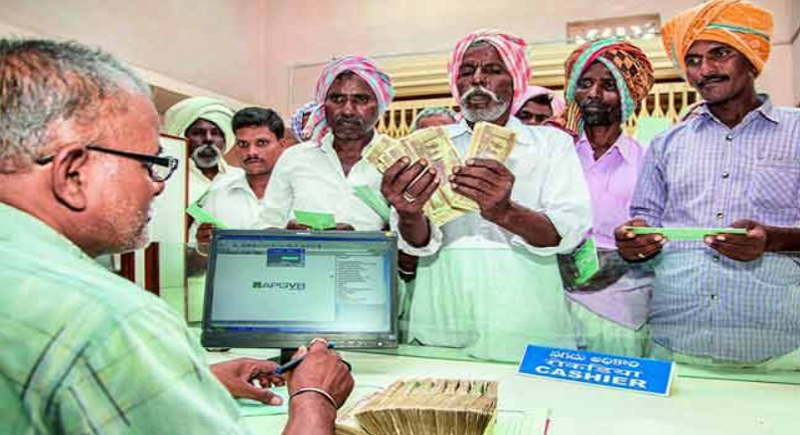 Meanwhile, the Kisan Credit Card Scheme aims at providing adequate and timely credit support from the banking system under a single window with flexible and simplified procedure to the farmers to meet the short term credit requirements for cultivation of crops, investment credit requirements for agriculture and allied activities and other needs.